Whenever a person has a potential civil claim, North Carolina law will provide a time limit within which that claim has to be filed with the Court. This time limit is called the “statute of limitations.” Failure to file within the time limit will usually result in the case being dismissed. For folks injured in automobile accidents, the time limit is relatively easy to determine. The basic rule in North Carolina is that an adult injured in a car accident has 3 years from the date of injury to file a negligence suit. The relevant statute, North Carolina General Statutes § 1-52(16), provides that time period does not begin to run “until bodily harm to the claimant . . . becomes apparent or ought reasonably to have become apparent to the claimant, whichever event first occurs.” Because most claimants immediately know that they are injured, the 3 year period typically begins to run on the date of the automobile collision. 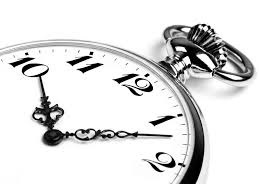 There are a few important exceptions to the 3 year North Carolina statute of limitations. First, wrongful death cases arising out of car accidents are treated differently. North Carolina General Statutes § 1-53 provides a 2 year statute of limitations for wrongful death cases involving automobile collisions. In most cases, the 2 year period does not begin to run until the date of death, but there are exceptions to this, including if the person survives for more than 1 year. In that case, the statute of limitations may simply be 3 years from the date of the wreck. If a loved one has passed away because of an automobile collision, it is critical that you immediately talk with an attorney; the statute of limitations for wrongful death requires more analysis than for a crash only causing injury and an immediate investigation should be undertaken. Another exception to the 3 year statute of limitations is for collisions involving injury to a minor. Generally, a minor’s claim for “general damages,” including pain and suffering, scarring, disability, and future medical expenses beyond the age of 18, may be filed at any time until the minor reaches the age of 21. That is, the minor has 3 years from the date they reach 18 to file suit. A parent may have a guardian ad litem appointed and file suit on behalf of the child at any time until they reach 18. Importantly, though, any claim the parent has, including a claim for medical expenses related to the child’s care until the age of 18, must still be filed pursuant to the normal 3 year statute of limitations. There are many other exceptions to North Carolina’s personal injury statute of limitations, including situations where the injured party is rendered incompetent. These exceptions must be discussed with a licensed attorney. If you have any doubt over the time limit within which a suit must be filed, you should seek a free consultation with an experienced personal injury attorney. Additionally, because filing a lawsuit is a complicated process requiring significant investigation, it is important that you contact an attorney well in advance of the statute of limitations. If you or a loved one has been injured in an automobile collision and you are concerned about a statute of limitations issue, call the Raleigh personal injury attorneys of Maginnis Law at 919.480.8526 for a free consultation. You may also use our contact page to submit an inquiry.